Whether you are looking for a new dental practitioner or have been regularly visiting the same dental office for years, there are a few questions you should be asking both yourself and your dentist each time you go. These questions will ensure that you are as informed as possible when it comes to your dental health, up to date with the latest in dental care advancements, and not ignoring any potential issues in your own mouth. Read on to discover what you should be asking every time you visit your dentist for a regular checkup. Read more: What Happens During a Routine Dental Checkup? Are my medications up to date in my chart? It’s sometimes easy to forget to tell your dentist and hygienist about any medication changes you may have had since your last visit so to be sure that your chart is as accurate as possible, be sure to mention any and all medication you are on every time you visit. Ensuring that your dental professionals have as much information as possible about your health means that they can provide you with the best possible care and avoid possible procedure complications. It is great practice to write down the medications you are taking, have changed, or have stopped taking prior to your appointments so that you can double check that it matches with your dental chart. While your dental hygienist and dentist will always inform you about any issues your mouth may have and how to proceed in fixing them, it is always a good idea to ask them how you can improve your oral health even if there are no issues with your teeth or gums. This means that you can hear about new products and advancements or different cleaning techniques which could improve your daily oral care routine. Your dentist will always be happy to share how you can get your mouth to sparkle at its best. Your oral health affects your overall health and if there is a major issue happening in your mouth, your family doctor should be aware of it. If you are pregnant or have a medical condition that otherwise weakens your immune system, you are more vulnerable to bacterial infection that can stem from gingivitis and gum disease. Asking your dentist if you should inform your family doctor about any oral health issue is a good way to make sure that everyone monitoring your general health is on the same page and can care for you efficiently and to the best of their ability. Do I have any bleeding, bumps, or sores in or around my mouth? Bleeding gums when brushing, flossing, or any other time is usually a sign of gingivitis which can quickly lead to gum disease. Bumps and/or sores in or around the mouth area can be signs of infection, oral cancer, or another issue altogether. Again, alerting your dentist to anything abnormal is essential in making sure that it is addressed during your next checkup and may help them to pinpoint an issue that isn’t visible but you can feel. Read more: Why are your gums bleeding and what to do about it? A dry feeling mouth can point to issues with saliva glands, can be a symptom caused from medication, or could possibly be a sign of diabetes. There can many different reasons for smelly breath and other oral odours, including infection, bacterial or otherwise. For these reasons, you should be telling your dentist about these concerns even if you are sure that there is nothing to worry about. Having a professional double check any symptoms or suspicions is the only way to either make sure that there is nothing to worry about or to find out what the issue is so a solution can be found. If you’ve been feeling any sensitivity or pain anywhere in your mouth, even if it is very minute, is extremely important as it may be early signs of a larger issue. Gingivitis, cavities, teeth grinding, and jaw clenching can all cause sensitivity and pain in the jaw, neck, teeth, and gum line. If you notice any sensitivities, be sure to alert both your dentist and dental hygienist so they can inspect the area specifically for any abnormalities or signs of decay and damage. This is the question you should be asking every single time you visit your dentist. Booking your next regular cleaning before you walk out the dental office doors is the most effective way to make sure that you have your teeth professionally cleaning every six months, which is the best way to monitor your oral health. 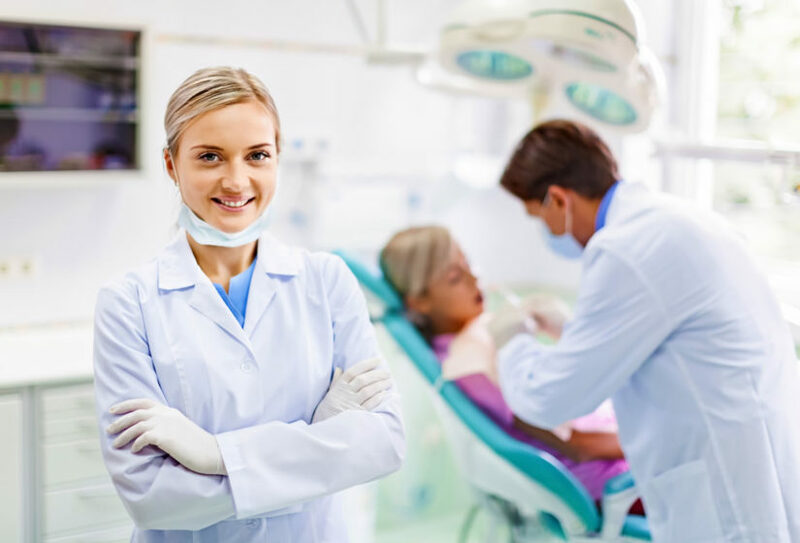 If you do not currently have a dentist whom you regularly visit or are looking to visit a new dental practice, check out 123 Dentist’s comprehensive list of the best dental professionals in your area.